Records are being broken people and the 2012 Olympics haven’t begun yet. I know some of us can’t help but getting into a fashion trend like it’s the latest dance craze, but if there is one trend that needs to be put to rest or avoided by all means, it’s the floral blazer. How dare I say that right? Well let us look at it like this, less that two weeks ago while enjoying a rare beautiful Sunday, I noticed the floral blazer wearers popping up all over the place. After the first five or six women who wore different versions of the spring trend, I decided to do a head count. Seventeen! Seventeen women, and young ladies stepped out of their place of residences with pretty colors on their minds. I’m going to assume that they couldn’t wait to rock the blazers, so they bum rushed the New York City streets to show their floral love. I love a floral print just like the next woman out there, but I know when to avoid putting on a garments that everybody and their mama will be wearing for the next few months. 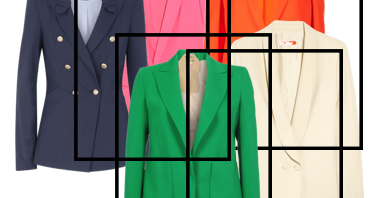 You can go about the pretty-colored blazer trend some other way, the solid way. 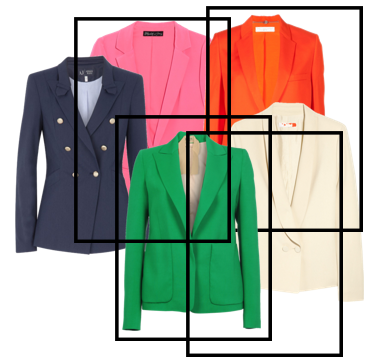 The floral blazers will be not be so wearable after the summer, yet solid blazers can be worn all year round. If you don’t mind sitting in a restaurant and someone at the next table is wearing a similar floral blazer you have on at that very moment, well stop reading this, but if you may dislike the scenario of standing on a train, and the woman sitting right in front of you has the same exact blazer you have on, don’t try to convince yourself that great minds think alike. Just tell yourself, not to let it happen again while everyone stares at you both.